Panda Bear’s latest single Token serves as the perfect soundtrack for conceptual artist Dean Blunt as he navigates his way through a carnival at night. Directed by and starring member of British avante-garde art group Hype Williams Dean Blunt, Token serves as the soundtrack for Blunt himself as he navigates his way through a carnival. The clip begins silently but when the track itself is introduced, the feel of the video eerily skews. 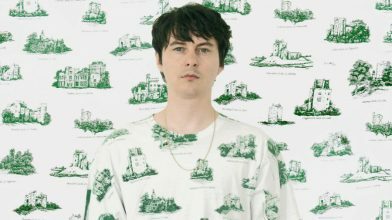 Token is the latest single from Panda Bear’s forthcoming album Buoys, which is set for release on February 8 via Domino Records. The album was announced with the lead single Dolphin and marked the first step in a more sparse, futuristic and whimsical direction for Lennox. With Buoys, Lennox has shifted his focus from the layered vocals of his previous records to a feeling that’s more visceral and direct. Token is the second product of Lennox’s digression from his regular sound to something more experimental, hyper-modern and genre-defying than we’ve seen from the artist before. Buoys was co-produced and co-mixed by collaborator Rusty Santos in Lennox’s adopted home of Lisbon, Portugal. Lennox and Santos last collaborated on the landmark Panda Bear album Person Pitch, which celebrated its 10th anniversary last year. Alongside Santos, Buoys also features collaborators in Chilean DJ/vocalist Lizz and Portuguese musician Dino D’Santiago, both artists who came to Lennox via Santos’ recent trap and reggaeton production work. The former contributes arrangements throughout the album including Dolphin, and both lend their vocals to Inner Monologue.